The front window of my BMW in Japan is coated by rain repellent, so that the view through the window is pretty good even on rainy day. But, that of FOCUS which I rent is not coated anything. Because I usually drive a car which windows are coated by rain repellent, I am scared of driving on rainy day. 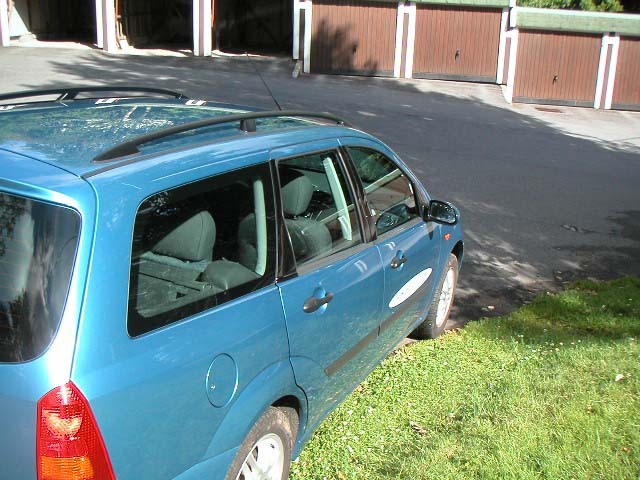 So, I decided that the rain repellent is coated on the front window of my FOCUS. I went to a car equipment shop in the neighborhood, but I couldn't find it. I asked the clerk, but he answered he didn't have it. 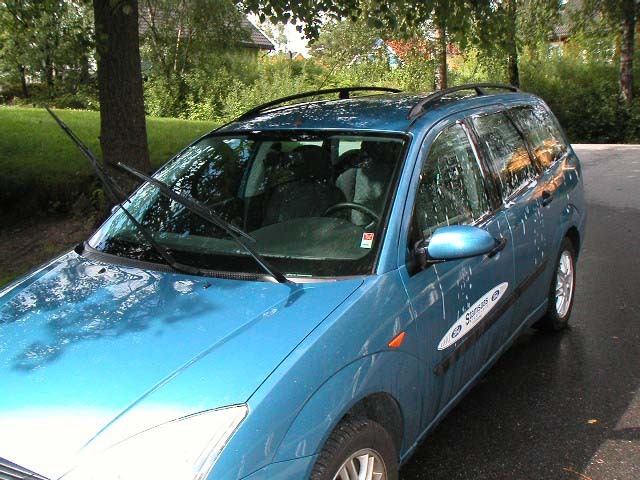 So, when I went shopping to a supermarket in Sweden, I found RAIN-X in a car equipment shop nearby. This is the RAIN-X I bought. It is usual RAIN-X, not Super RAIN-X nor ULTRA RAIN-X. The price was 95 SEK (Sweden Krone = 13 Yen). The usage is written on the back. But, I can not understand at all, because it is written in Swedish and Norwegian. 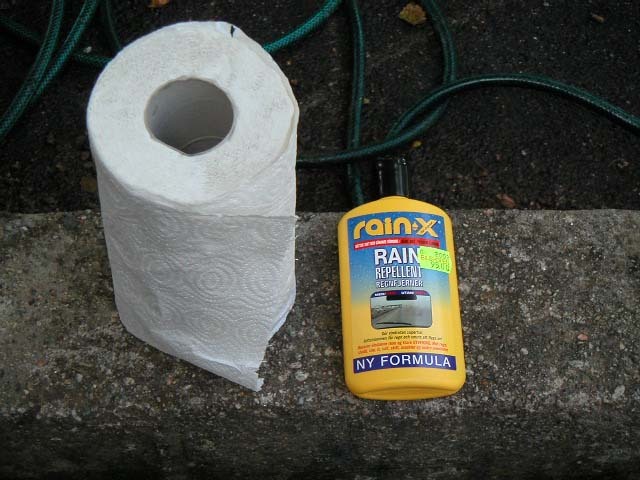 Well, I know how to use RAIN-X, so no problem. 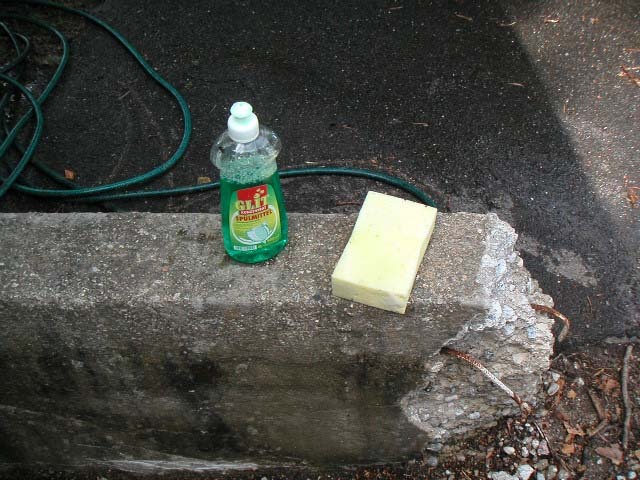 First, I prepare a detergent and sponge to remove oil from window surface. 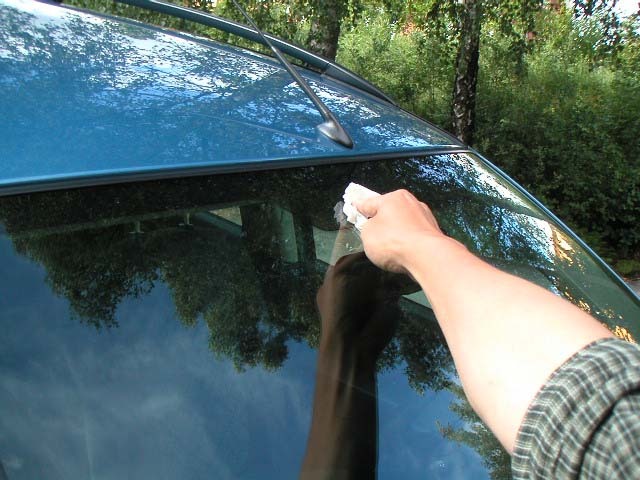 Silicone oil can not be removed by this, but I don't think it is a problem, because there is few oil on the windows at present. 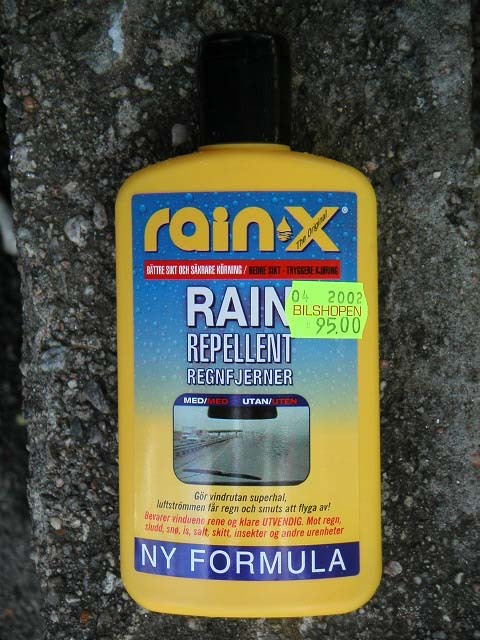 Because the amount of RAIN-X is 200ml, I would coat all the windows. 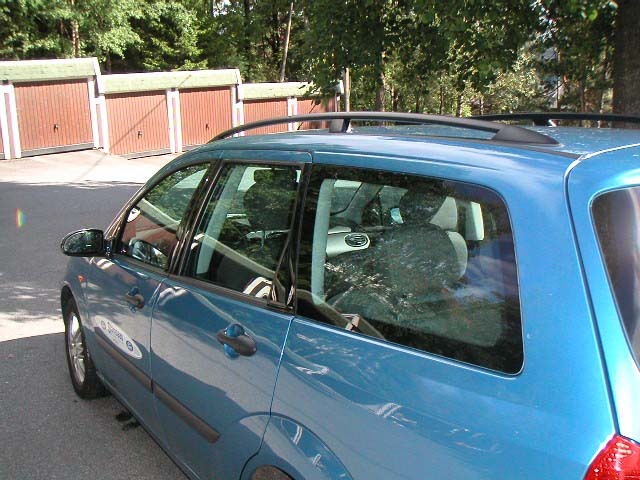 This picture shows that the left side windows are cleaned by detergent. After that, all the windows were cleaned and dried. 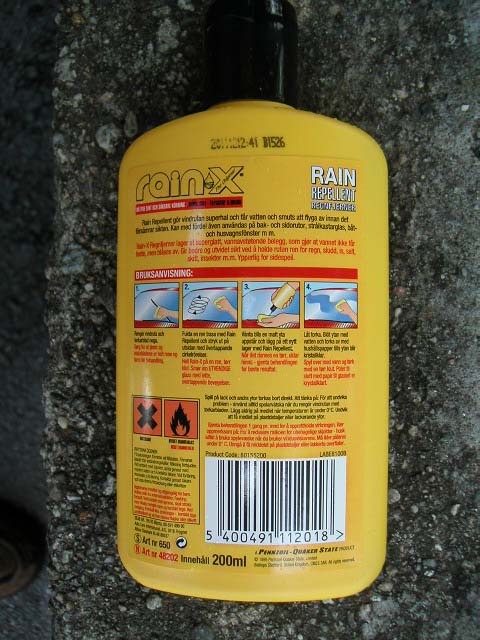 Next, RAIN-X is applied. I prepared paper towel. The paper towel here is softer and thinner than that of Japan. It is suitable for coating RAIN-X. I coated all of the windows like this. 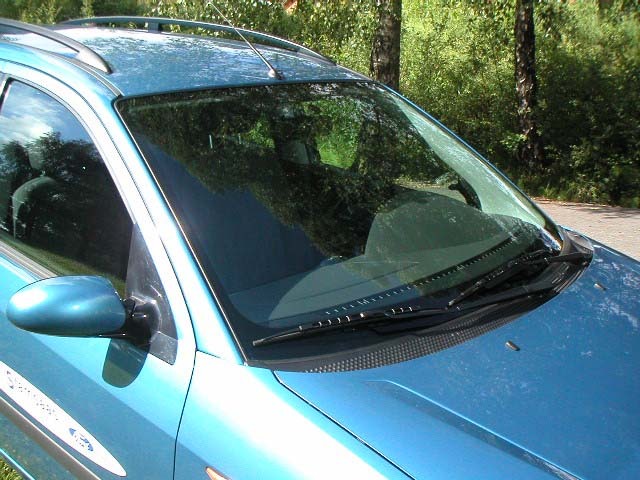 After dried, the windows are wiped up by wet towel. I did this work twice to make the coating perfect. This is the front windshield after coating. It's perfect! 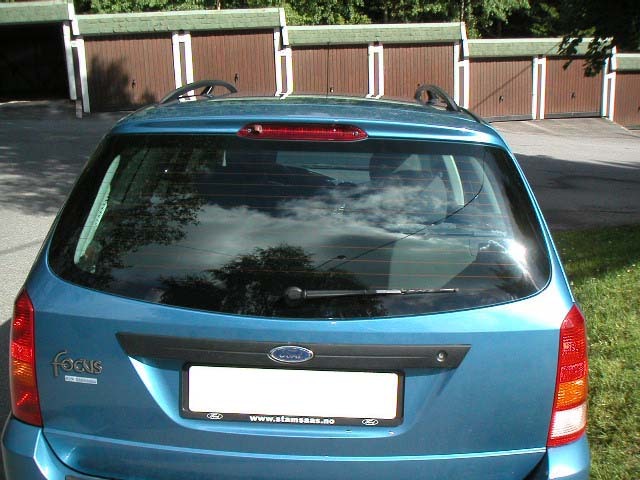 rear window was also coated. Now, I can drive on rainy day at ease.